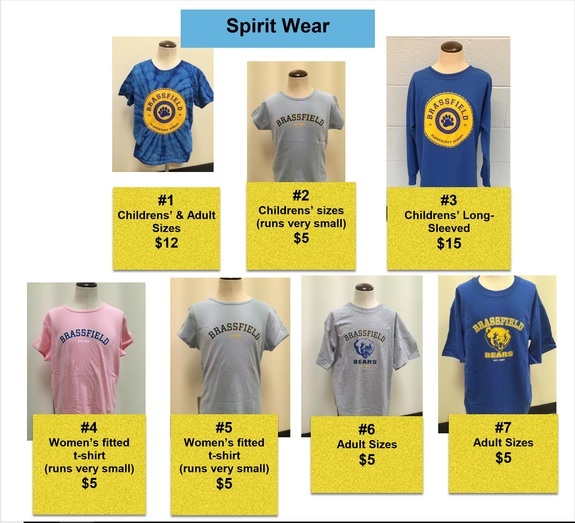 Brassfield T-shirts for purchase. Please choose from the following 7 styles and be sure to specify quantity. Quantities and sizes are limited, so order now for the best selection! There is a small online processing fee added to your order typically less than $1. All purchases are nonrefundable. If there is a sizing issue, we will issue school store credit. Please add details in the memo field including: Child's name, track, teacher so we may deliver your shirt to your child's class. Thank you for supporting Brassfield PTA! This payment request is not currently available to take payments for purchases online.